We’d love your help. Let us know what’s wrong with this preview of August Isle by Ali Standish. When she arrives on the Isle, alone and uncertain, to spend the summer with her mother’s best friend, “Aunt” Clare, Miranda finds a town even more perfect than the one sh For years, Miranda has stared at postcards of August Isle, Florida. The town her mother spent her summers as a girl. The town Miranda has always ached to visit. She just never wanted it to happen this way. To ask other readers questions about August Isle, please sign up. A beautiful brilliant story that will stay with you, Miranda, a wonderful, vulnerable heroine estranged from her mother. What starts as s summer story turns into a mystery and twists into a wonderful treatise on family, friendship, and longing to be seen. Al is an amazing writer and this book a must-read! A beautiful middle grade novel about the changes families go through and gaining perspective. Because her parents are busy with work, Miranda is sent to spend a month of her summer at August Isle, an island in Florida, where she stays with her mom’s friend and family. There, she develops a friendship with Sammy, the friend’s daughter, and Miranda learns to face her fear of water with sailing lessons. Though the Isle is new to her, it’s a place her mother knew well, and Miranda is determined to l A beautiful middle grade novel about the changes families go through and gaining perspective. A heartwarming book about fear, bravery, family and perspective that middle grade readers will love. Publishes in April 2019. This book broke my heart in all the best ways! Miranda is a very relatable and likable protagonist, and I found myself rooting for her immediately. Beautiful writing, excellent pacing, and a storyline full of twists and revelations, this story touches on so many important things: what it means to be family, the importance of stories, friendship, and being true to yourself, plus the magic of baking. Highly recommended. Another wonderful book by Ali Standish. Beautiful writing, a realistic group of kids, and a touch of mystery make this a warm and engaging read. Ali Standish tackles tough topics with lots of heart and just the right amount of grown-up wisdom. A must for every classroom library. Kids will love the story and will relate to the characters fears and frustrations. Teachers will love the discussions it will prompt. I could not let this story go. It gripped me from the beginning and I know middle grade readers will fall for it. Beautiful writing with lines I’ll be thinking about for a long time. I loved reading August Isle. It has a fun, compelling story-line that kept me questioning and guessing. August Isle completely transported me to another beautiful time and place. Ali Standish has done it again! 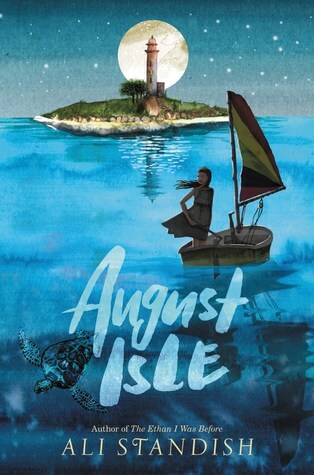 August Isle is compelling, creative, and heartfelt. Miranda’s journey moved me to tears and left me smiling. Perfect for readers who enjoy warm stories of friendship, family, and the sea mixed with an overarching mystery. Another beautiful book from one of my favorite authors. 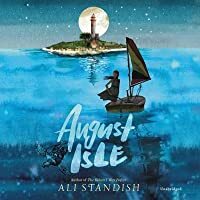 AUGUST ISLE is full of hope, friendship, and mystery. As always, Ali Standish creates characters you feel immediately attached to and care immensely about. This one is not to be missed! Such a lovely summer adventure! Beautiful evocation of a twelve-year-old summer, filled with mystery and friendship, sea and sun. Heartfelt and relatable for both kids and adults. Miranda’s growth, realizations, and change were a lovely progression, and the supporting characters were just as well-developed. Will definitely add to my class library when it’s out this spring. Engaging throughout, with real-seeming kids and a very plausible "mystery." A good realistic story for kids who like their books a little sad. This book would have definitely been a favorite of mine if it were published during my middle school years. It was still a good read, I like to read books that a younger me would have devoured!! Ali Standish's star is rising and this new book won't sink her with librarians and booksellers - very welcome after The Ethan I was Before, her last one, which is a TOUGH Reader's Advisory, however well written. The Truth About Jellyfish hit a nerve with readers and continues to be popular (and about to be made into a film starring Millie Bobby Brown,) so it's nice to have a new Benjamin title to pass along. Read alikes for A DRC was provided by Edelweiss in exchange for a fair and honest review. Absolutely heart achingly beautiful and hopeful! Part mystery and part coming of age story, I enjoyed August Isle on several levels. You don't have to be a middle schooler to appreciate this adventure. Miranda arrives on the island to spend the summer with her mother's best friend, “Aunt Clare" and her daughter Sammy. Together they have adventures and work together to solve mysteries. Like most modern fiction for this generation, the novel is not 100% sweet, but the sad parts meld as part of a well told story leading to lessons learned in an u Part mystery and part coming of age story, I enjoyed August Isle on several levels. You don't have to be a middle schooler to appreciate this adventure. Miranda arrives on the island to spend the summer with her mother's best friend, “Aunt Clare" and her daughter Sammy. Together they have adventures and work together to solve mysteries. Like most modern fiction for this generation, the novel is not 100% sweet, but the sad parts meld as part of a well told story leading to lessons learned in an understandable way. Thanks for the win and I will happily share this book and this author with the younger generation in my life! Ali Standish, author of the critically acclaimed The Ethan I Was Before, split her time growing up between North Carolina and several imaginary worlds. The only award she ever won in school was for messiest desk, but that didn’t stop her from going on to get degrees from Pomona College, Hollins University and and the University of Cambridge. She still spends most of her time in her imagination, bu Ali Standish, author of the critically acclaimed The Ethan I Was Before, split her time growing up between North Carolina and several imaginary worlds. The only award she ever won in school was for messiest desk, but that didn’t stop her from going on to get degrees from Pomona College, Hollins University and and the University of Cambridge. She still spends most of her time in her imagination, but you might just spot her walking her two rescue dogs with her Finnish husband around her neighborhood in Raleigh. You can visit her online at www.alistandish.com.